On-Grid Systems are PV systems that operate with utility (grid) power available - whether for utility, commercial, residential or standalone buildings. The objective of an on-grid system is to partially or entirely fulfill its user's energy requirements, offsetting the energy demand from the utility grid. When the PV system generates less power than the requirement, utility power automatically complements the solar generation in order to send the required power to the user. On the other hand, with a net metering scheme in place, on-grid systems can send excess power generated back to the grid in exchange for utility credit. On-grid systems are the simplest and the most cost effective to install. With paybacks from as little as 5 years and a life of 25 years, these systems are both environmentally and economically friendly. Dubai Electricity and Water Authority (DEWA) has a well-defined strategy and an ambitious vision to support the development and establishment of sustainable energy projects in Dubai. Under the leadership of H.H Sheikh Mohammed bin Rashid Al Maktoum, DEWA's Shams Dubai Program allows users to seamlessly install PV systems on their roofs to produce their own power. The program's net metering scheme motivates all users to benefit from the program by granting "DEWA credit" in exchange for excess power generated - for each kWh of excess energy generated from solar, users will be instantly rewarded 1 kWh of DEWA credit for future use. The credit can be carried forward with no expiry, making PV systems a no-brainer with great financial returns. At the end of 2014, the Dubai Water and Electricity Authority (DEWA) issued an Executive Council Decision (No. 46 of 2014) (the Decision) which regulates the connection of both residential and commercial solar power generating units to the power grid in the Emirate of Dubai. 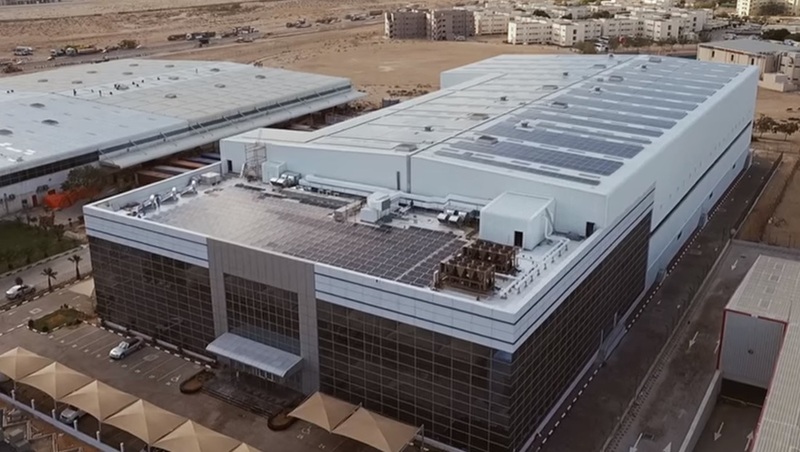 The roof top solar scheme is known as “Shams Dubai.” The Decision applies to all generators that have a consumption account in Dubai, including private development zones and free zones. The Decision will assist Dubai in achieving its ambitious renewable energy targets, including the target for 7 % of its energy to be generated by renewable energy sources by 2020 and 25 % by 2030. To learn more about DEWA's Shams Dubai Program, click here. Shams Dubai consolidates the foundations of Dubai’s environmental sustainability and contributes to achieving the goals of the Dubai Integrated Energy Strategy 2030, launched by the Dubai Supreme Council of Energy to diversify energy sources and reduce energy demand by 30% by 2030. The Strategy initially set the percentage of renewable energy in Dubai’s energy mix to be 1% by 2020 and 5% by 2030. Since then, DEWA has raised the target to 7 % by 2020 and 15 % by 2030. ​The Decision provides for customers (owners of buildings or tenants) to generate electricity on their premises and use any electricity generated, which can be offset against their electricity bills. In the event that any surplus energy is generated, this will be transported back to the grid and a credit will be placed against the customer’s account with DEWA. DEWA has confirmed that under the Shams Dubai scheme there is no time limit on the period during which excess generation credits can be banked for, however this is dependent on the customer remaining on the premises. The ability to generate electricity onsite will be particularly attractive to large commercial units who will be paying a higher premium for electricity. ​The Decision provides for DEWA to specify the maximum limit of electricity which can be exported back to the grid by each generator. Therefore, the customer’s ability to generate electricity will be restricted by the limit imposed by DEWA, however, this limit has not been currently set. Solar power is now cheaper than DEWA’s slab tariff due to the intense solar radiance. The rate of the Kwh in Dubai costs 0.445 AED/ kWh for most of the commercial/industrial customers, This applies on industrial factories, warehouses in Jebel Ali Free Zone, Dubai's Investment Park, Dubai's Logistics City and Dubai's Industrial City. EPC (Engineering, Procurement, and Contracting) contracts are the most common form of contract used to undertake construction works by the private sector. An EPC contracts is between an owner/developer and a contractor, for the contractor to undertake all design, engineering, procurement, construction, commissioning and testing activities related to the PV system. EPC contracts are sometimes called turnkey construction contracts. In addition to delivering a complete facility, the contractor must deliver that facility for a guaranteed price by a guaranteed date and it must perform to the specified level. Third-party financing, or leasing, is an established financing solution, and it has recently emerged in the solar industry as one of the most popular methods of solar financing for consumers to realize the benefits of solar energy without having to pay for the system up front. 2) the customer can sign a power purchase agreements (PPA) to pay a specific rate for the electricity that is generated each month. After the agreed lease period has ended, the ownership of the PV system will be passed on to the client. Solar leases can be structured so customers pay no up-front costs, some of the system cost, or purchase (buy-out) the system before the end of the lease term.